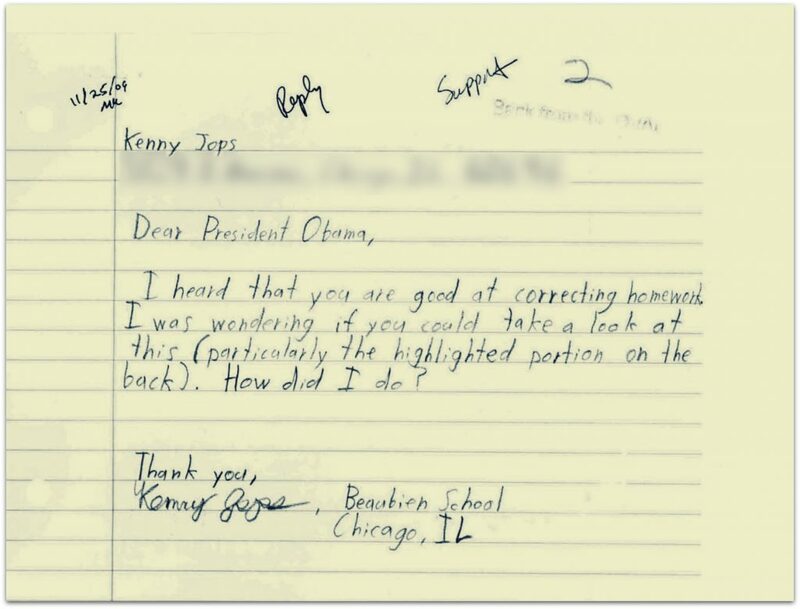 Today’s post is this hopeful correspondence lifted from the pages of To Obama, With Love, Joy, Anger and Hope (by Jeanne Marie Laskas), a compilation of letters from the Office of Presidential Correspondence during the Obama administration. 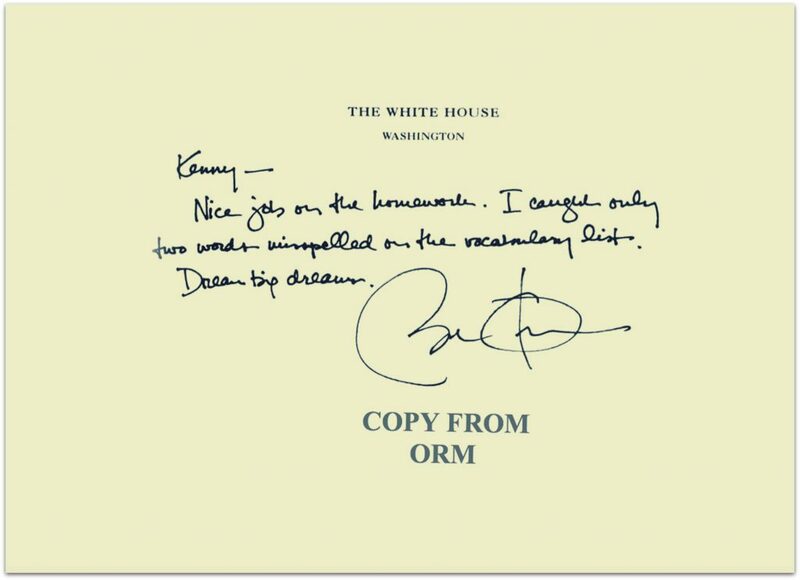 The OPC, a staff of 50 readers and 30 interns plus hundreds of volunteers, were charged with sifting through 10,000-plus letters every day, then scanning, filing, distributing, and, in select few cases, delivering to the President, who insisted on reading ten letters a day (“10LADS”) that were most representative of America’s collective mindset. 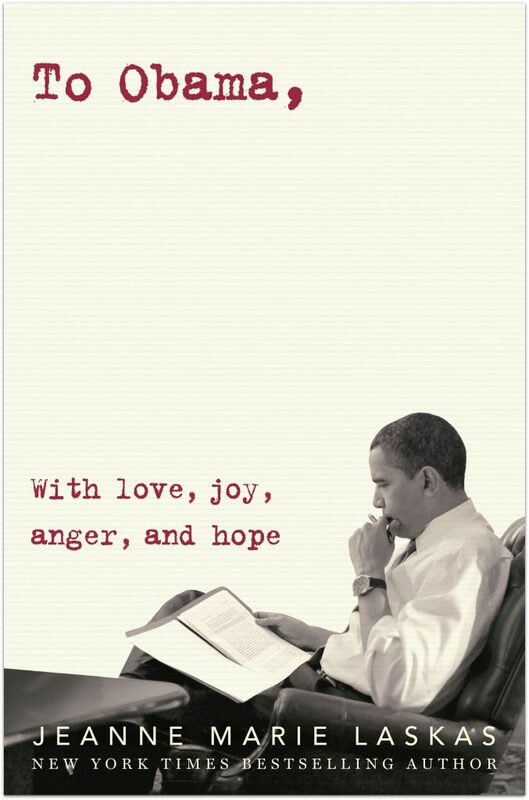 America’s collective mindset is, of course, sad and hopeful; grateful and furious; grave and humorous and many of the letters will move you to tears. (Anyone who listened to me and read The Education of Bill Oliver last week knows what I’m talking about.) 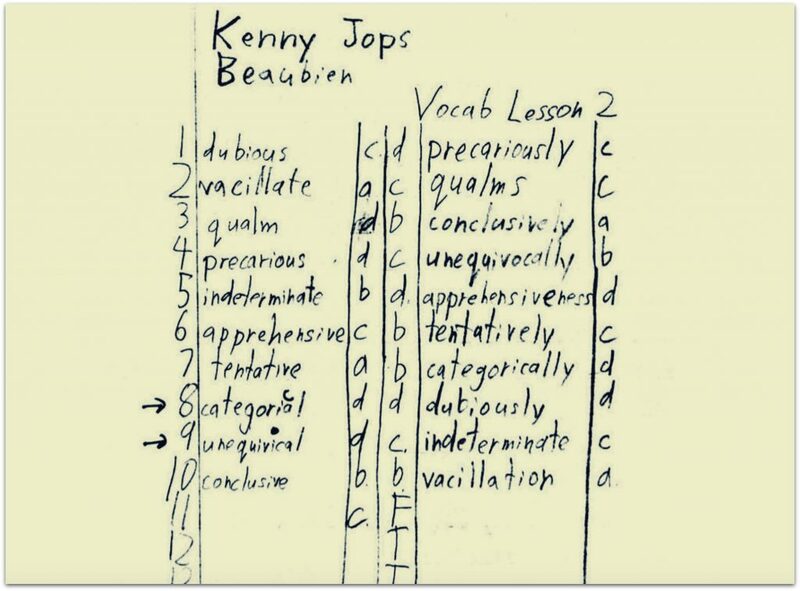 In honor of back-to-school, though, I thought you might enjoy this one, written by a sixth grader in Chicago. Dream big dreams, kids! Check out Eli Saslow’s book, Ten Letters, about this same subject! My president. I miss him. And not just because he could, you know, spell correctly. Thanks for posting. It made me cry. May there come a day soon when a good human is back in the White House. A Democrat would be nice. But we’ll never again under appreciate a general sense of decency and kindness, party aside.